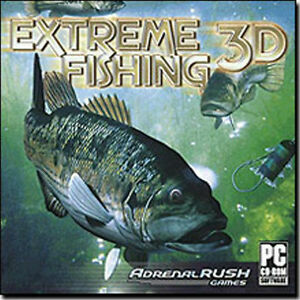 Pictures and Description Enjoy realistic environments and extremely addictive gameplay as you pursue a wide variety of fishes, each with its own unique behavior, in 28 locations all over the world! Prove your skills in an international fishing competition and earn money to upgrade your rod, bob, bait and other equipment. You can even use the built-in fish radar to find out what’s going on in the lake. I thought the price was really great but when i recieved the game WOW! how cheesy. The scenes were suppose to look realistic? NOT! i AM AN AVID FISHERMAN AND I MUST SAY THIS GAME IS NOT AT ALL REALISTIC. DO NOT BUY THIS GAME!!! !